Peter Heinrichs Curly Block in a straight black sandblasted 1968 Dunhill Shell bulldog with a black vulcanite stem. Ice water and bergs is my evening drink. Watching the Cubs-Dodgers game. Well, it's been a long day!! Arrived back home early this morning and exhausted. 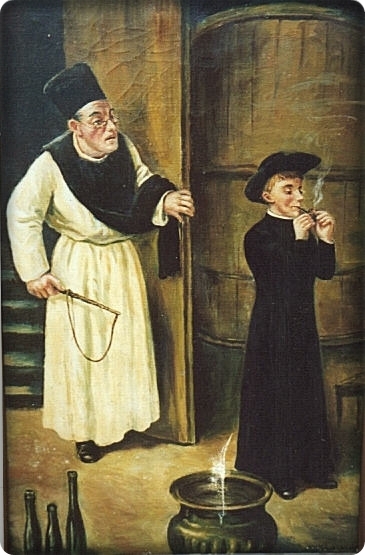 Last pipe full for the night. 12 year old Penzance in a black pebble finish straight 2003 Cavicchi C. Fatto A Mano lovat with a black acrylic stem. D&R Raccoon’s Friend in a 1984 three quarter bend medium brown Ascorti KS Business Dublin with a black acrylic stem. Listing this a few minutes early: Standard Tobacco Company of Pennsylvania War Horse Ready Cut in a 2015 smooth unfinished Savinelli 320KS author with a black vulcanite stem. Almost finished smoking Jim's Va/Bur in a 2015 Basil Meadows Bing Crosby Merchant Service replica with a smooth straight thin shank, aluminum band and black ebonite stem. Drucquer & Sons Prince’s Blend in a 1977 straight black rusticated Sir Brent billiard with a silver band repair and a brown pearl grey acrylic stem. Working and listening to the MLB talk on the XM. 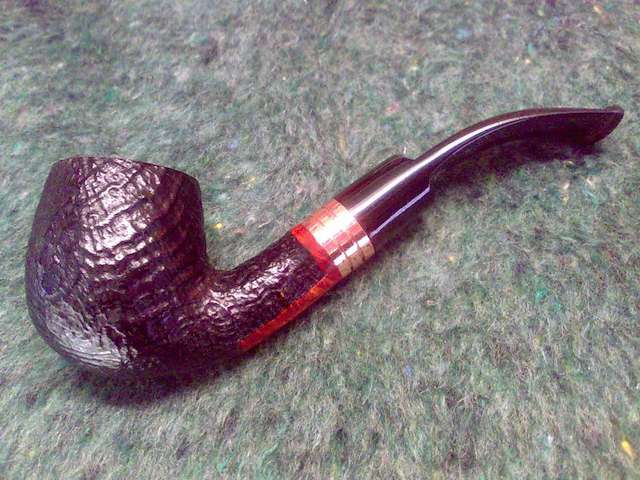 Listing this a few minutes early: 1970s Edgeworth Aromatic (Red) in a light brown 1979 rusticated medium bend Italian Sir Jeffrey Dublin sitter with a flared top and yellow stem. 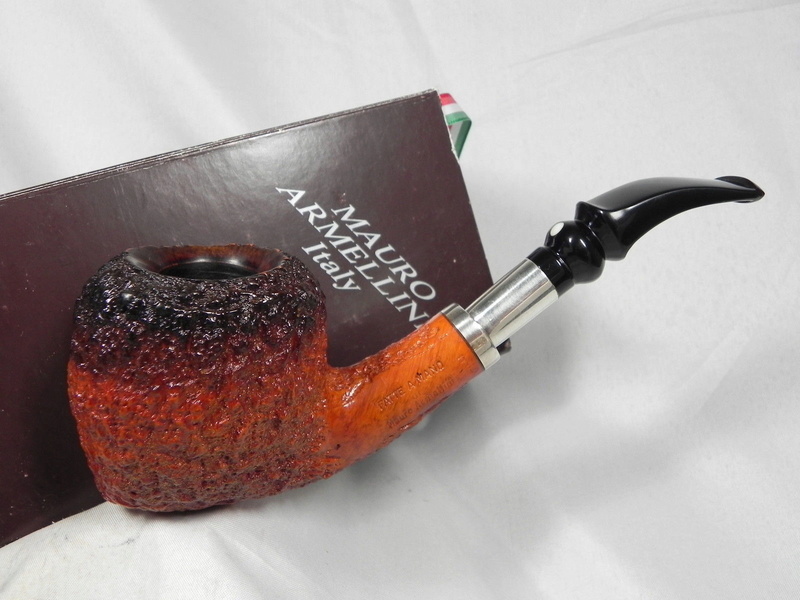 Ayelsbury Luxury Flake in an MM reverse calabash. Heine's Blend in the third pipe I ever bought ($1.95), a 1974 smooth straight French briar Hadley Apple with a black vulcanite stem. Couldn't sleep. Yenidje Highlander in a Bruce Weaver fugu blowfish. Half way through this bowl of Jim’s B Blend in a smooth 1998 Parker 489 three quarter bend Billiard with a black vulcanite stem. A can of Hansen's Creamy Root Beer made with real cane sugar is my drink. Watching Mad Dog Russo. 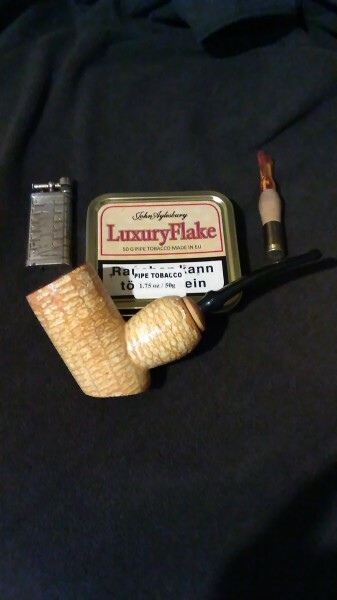 Half way through this bowl of Stonehaven in a 1998 smooth medium bend Peterson Limerick 69 with a nickel band with a black vulcanite p-lip stem. LJ Peretti Blend DD in my Mauro Armellini Freehand. Iwan Ries Three Star Royale in a 2003 IMP horn Meer with a black acrylic stem. A blend of CH 75% & VBC 25% in my Joh's smooth Apple with partially bent stem.